Literally. Only SmartPrint 360 consolidates all the managed print services you need in a simple bundled package and a single monthly bill. Are office printing issues eating up too much of your IT people’s time? Do you want to keep your endpoints safe from cybercriminals who could exploit vulnerabilities in your printer network to gain access? Would you like to see at a glance how much you’re spending on printing and where you could save money without needing to search through dozens of invoices? If so, SmartPrint 360 is for you. Fact: 40% of Canadian companies experienced security breaches in 2016 and 54% of those breaches were due to hackers gaining access through unsecured printers. The security you need with the simplicity you want. Since print equipment and software are favourite entry points for hackers, we assess and analyze your print infrastructure, find the vulnerabilities and help you harden the end points. We provide systems for 24/7 monitoring to instantly automate hardening print devices, and to notify of cyber activity and report on the status of potential threats. More printer uptime and valuable reports. 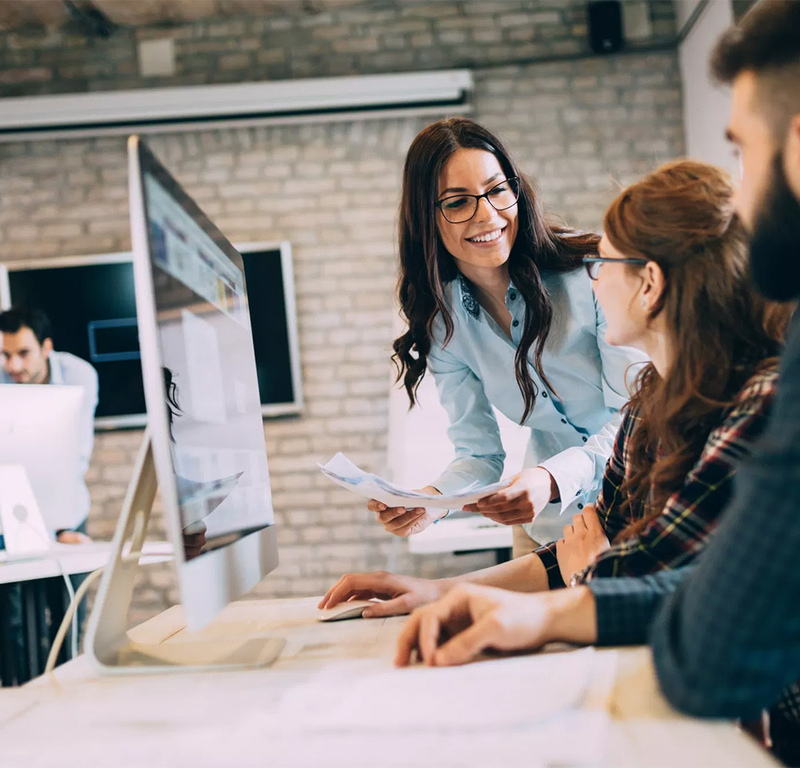 SmartPrint 360 uses an advanced and fully integrated monitoring system that connects to all your print devices. Real-time alerts enable proactive management of service and supplies, reducing downtime and generating detailed reports on usage, costs and any service metric you could imagine. One vendor, one monthly bill with everything as a service. Just look at everything you get with SmartPrint 360. And you get all of it itemized on a single monthly bill: equipment, software, supplies and services. Fact: Our clients typically save between 30% and 50% on their printing costs after switching to us. No other managed print service offers so much or makes things so simple. 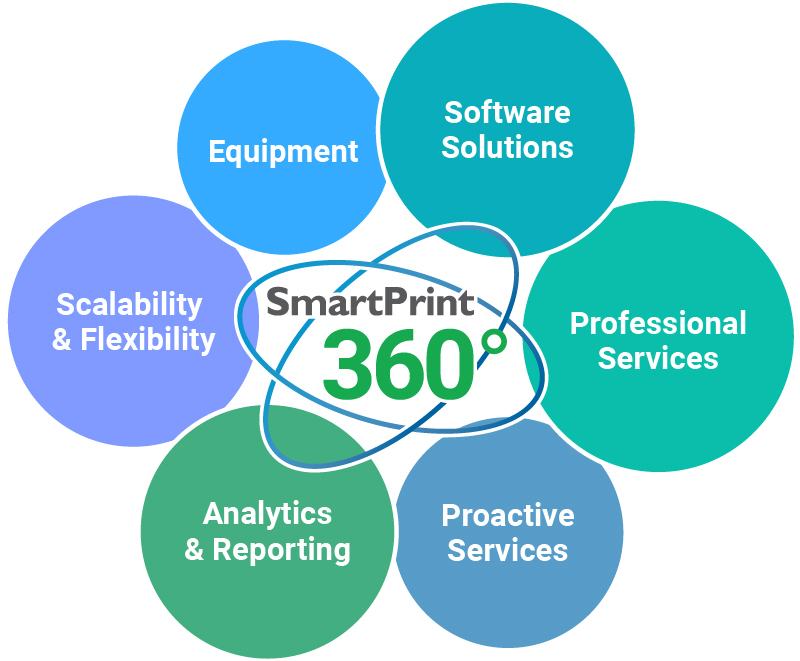 SmartPrint 360 provides more services, security and reporting capabilities than anyone else. You’ll finally have the audit and compliance data to understand who is printing what, how much it costs, and how much time, trouble and money you’re saving. All covered by one simple monthly bill. Find out what SmartPrint 360 can do for you.